PRE-ORDER NOW AND GET 15% OFF. BOOKS WILL SHIP IN MAY. In October 2018 Brazilians elected Jair Bolsonaro as their new president. A former army officer who served under the military dictatorship, Bolsonaro has spent his political career campaigning against democracy and human rights. His notoriety comes from his repeated racist, sexist and homophobic statements and his defense of torture, extra-judicial executions and impunity for Brazil´s security forces. Bolsonaro is sometimes described as a “Tropical Trump.” But this wording greatly underestimates the threat that he poses to Brazil´s still young and fragile democratic institutions. 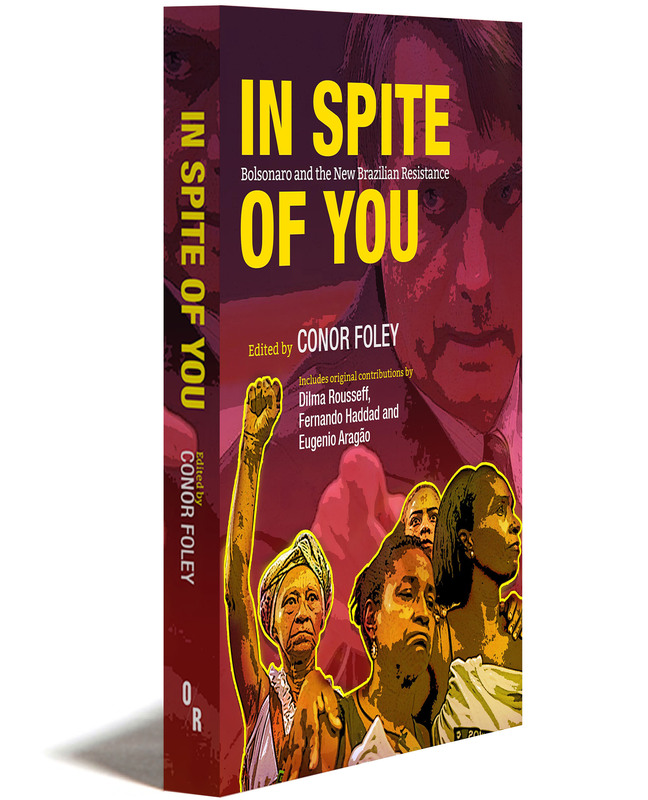 In Spite of You brings together voices of the new Brazilian resistance. 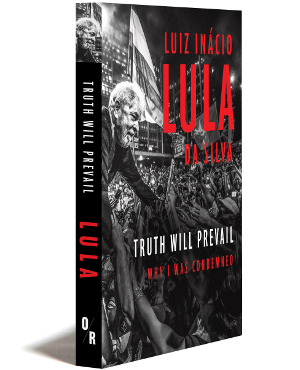 It includes chapters by Dilma Rousseff, former president of Brazil, political prisoner and torture survivor; Fernando Haddad, former minister for education and mayor of São Paulo, who was defeated by Bolsonaro in the 2018 election; and Eugenio Aragão, former minister for justice in President Dilma´s last government. It also gives a voice to feminists, environmentalists, land rights activists and human rights defenders, explaining the background to Bolsonaro´s election and setting out a manifesto for reviving democracy in Brazil. Contributors: Eugenio Aragão, Rubens Casara, Sérgio Costa, Vanessa Maria de Castro, Fabio de Sá e Silva, Michelle Morais de Sá e Silva, Paulo Esteves, Conor Foley, Gláucia Foley, Fernando Haddad, Monica Herz, Fiona Macaulay, Renata Motta, Dilma Rousseff and Márcia Tiburi. Conor Foley is a Visiting Professor at the Pontifical Catholic University of Rio de Janeiro and has worked on legal reform, human rights and protection issues in over thirty conflict zones. His previous books include, Protecting Brazilians Against Torture, Another System Is Possible and The Thin Blue Line. Bolsonaro’s inauguration speech of 1 January 2019 vowed to “liberate” Brazil from “socialism,” “gender ideology,” “political correctness,” and “ideology that defends bandits.” Unfurling the Brazilian flag, he declared that it would “never be red unless our blood is needed to keep it yellow and green.” Hours after taking office he announced a new regulation transferring the protection and regulation of indigenous land rights to the Ministry of Agriculture, which is now dominated by the country’s powerful “agribusiness lobby.” Other newly appointed ministers also began to unveil their own platforms and programs, which will be discussed further in subsequent chapters of this book. Perhaps the most extraordinary of these came from Damares Alves, an Evangelical lay preacher and head of the newly amalgamated Ministry for Women, Families and Human Rights. A video emerged on social media of her leading supporters in a raucous, singsong, nursery-rhyme chant of “boys must dress in blue and girls must dress in pink,” which she subsequently explained was a metaphor for her government’s commitment to combat “gender ideology” in Brazilian schools. It is difficult to exaggerate the threats that Bolsonaro poses to a just social order both in Brazil and beyond. The world’s fourth-largest country could now slide from democracy to dictatorship. Deforestation of the Amazon rainforest and the expropriation of land from Brazil’s indigenous people will certainly accelerate. If Brazil pulls out of the Paris Agreement on Climate Change, the threat of humanity-destroying global warming comes ever nearer. Bolsonaro’s promises of impunity to the police who carry out extrajudicial executions, support for torture and the death penalty, and pledge to repeal the country’s gun laws will make one of the most violent countries in the world even more deadly. Where Brazil under previous governments had played a leading part in developing an independent foreign policy for the Global South, Bolsonaro is already slavishly echoing even the most idiotic pronouncements of US president Donald Trump. The incendiary and fascist rhetoric that he used during the campaign and has promoted throughout his political career also cuts deep into the body politic of one of the most racially, ethnically, culturally, and socially diverse societies in the world.